4 part class designed for owners of Babylock Imagine, Acclaim, Enlighten, Evolution, Ovation and Triumph. However, if you have always wanted to try out a Babylock serger, we will be happy to loan one during class. 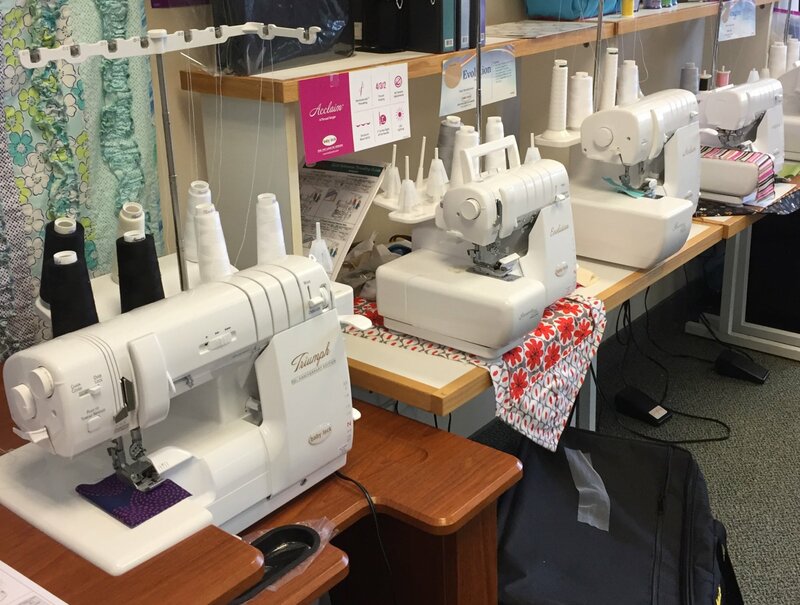 In this class, you will learn all the overlock functions your serger can do by creating samples and placing them in a notebook for reference. Owners of the Evolve, Evolution, Ovation and Triumph can look forward to additional classes focusing on the chain stitch and coverstitch.